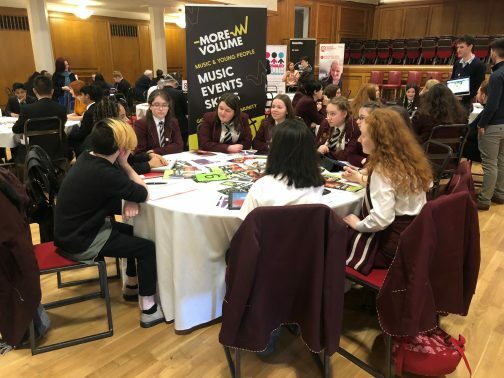 This week, the More Volume team were invited to attend and present to young attendees at the 6th Annual Digital South Youth Event organised by Forward South Belfast in Elmwood Hall. The event is designed to give school children in Years 11-14 the opportunity to meet with organisations that use technology and digital skills in their working contexts. The range of organisations attending was vast, from film makers to banks to lighting specialists. We brought along two young up and coming artists and industry professionals who use technology every day to create, record and mix music both in professional studios and at home in accessible set ups. 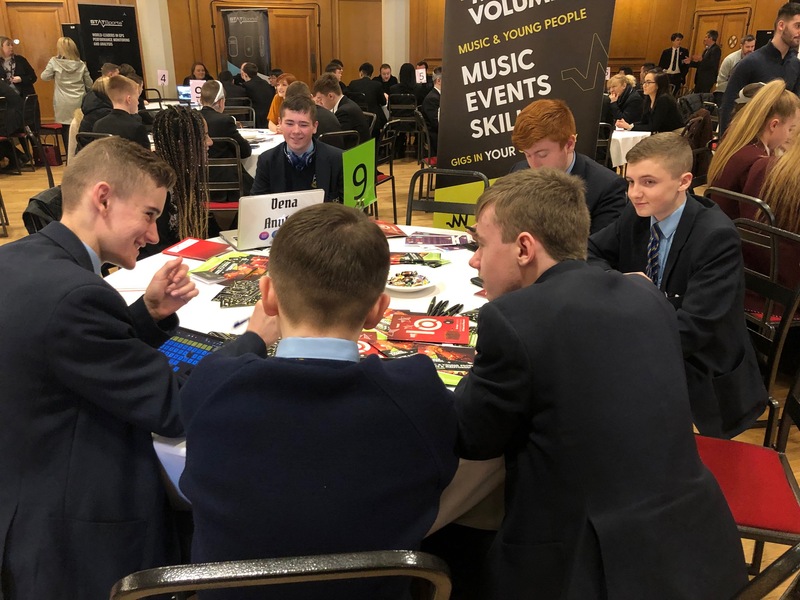 We engaged with over 190 pupils from schools all across Belfast and beyond, using the opportunity to promote our youth engagement programmes as well as the career avenues within the music industry that could be open to the young people. We were delighted to attend and very excited to have been approached by one of the attending schools to look at the possibility of delivering More Volume within their school environment! Watch this space! 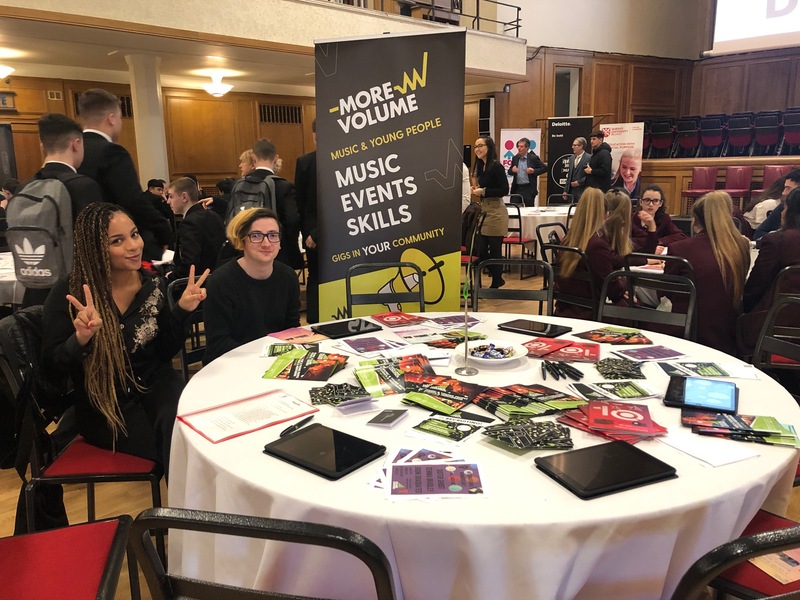 More Volume is a youth events and industry mentoring project coordinated and delivered by Oh Yeah Music Centre and supported by the Paul Hamlyn Foundation. Applications are now live! Please click here to apply. 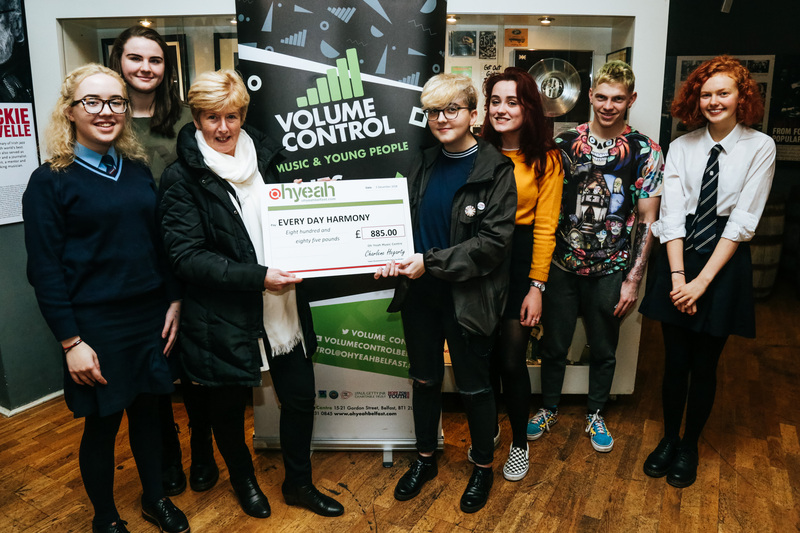 Volume Control is an award-winning industry and events mentoring scheme for young people aged 14-19. It offers young people the chance to run their own live music events under the guidance of Oh Yeah staff and mentors. In the process, they learn about the events and music industries; from box office to marketing and promotion, to sound, stage management, artist liaison, and more. We are now looking to recruit a team of 12 enthusiastic young people with a passion for local music and a desire to work in music and events, to organise a series of events for 2019. Successful applicants will meet weekly and make it happen, with help and support from Oh Yeah staff and a dedicated mentor. The project runs for one year and there are around eight gigs for the team to organise, plan, and deliver in that time. We are also offering an OCN qualification as part of the programme. Regular users of our Strummerville Rehearsal Rooms, The Fugues have released a brand new video for the single Lady In Pink. They’ll be launching it with a show in Voodoo Belfast on Wed 27th Feb.
We have a host of local bands using our very busy rooms on a regular basis, and its great to see some of them release great music. You can find full details on the website about our rooms if you’re in need of somewhere to practice on a regular basis. In the mean time enjoy this! We would like to say a huge thank you to Steve Boyd and Thompsons Garage for donating the last edition of three specially commissioned Track One portraits of the late Michael Cullen. There is now a fund raising campaign #33tillinfinity to raise £33,000 for mental health awareness and suicide prevention and intervention charities, in memory of Michael Cullen. They are raising funds and support for Inspire, Community Rescue Service Belfast and Tamhi. To celebrate Cull’s life and honour his memory by raising a £1000 for every year he was alive. 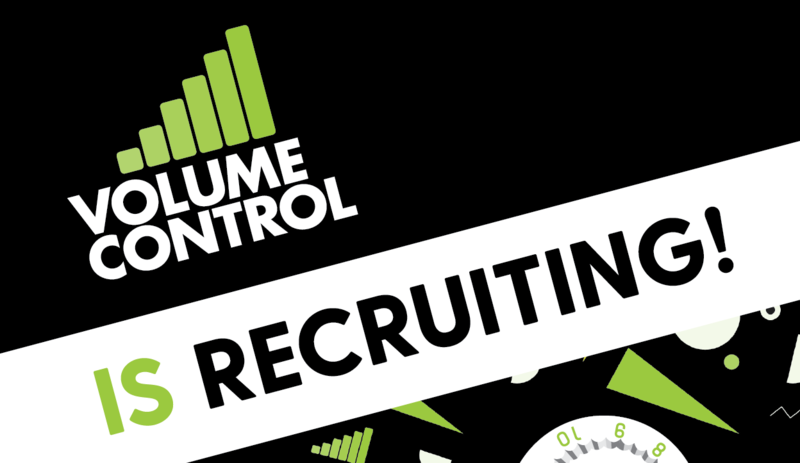 This role is part time (21 hours per week) based in Belfast and would suit an enthusiastic, organised person who has a passion for working with young people and for the local music industry in Northern Ireland. This role is part-time, based in the Oh Yeah Music Centre in Belfast. 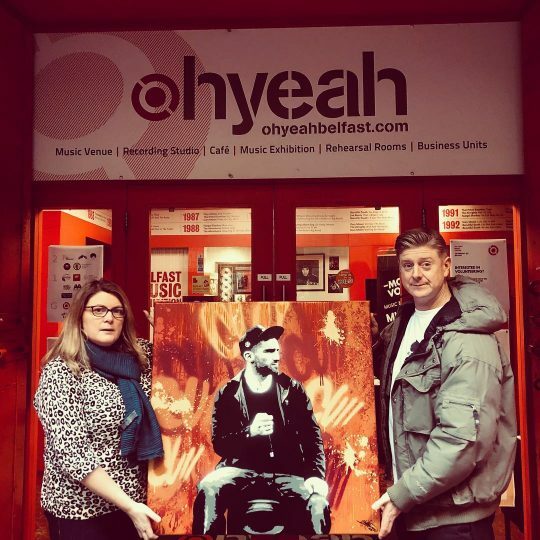 The successful applicant will be involved in the design, delivery and promotion of all youth focused and family friendly initiatives within the Oh Yeah Music Centre. They will provide support to Youth Engagement Manager and to other core staff members on various tasks and projects. Support the Youth Engagement Manager in the delivery of all youth projects in the Oh Yeah Centre. Increase Oh Yeah’s engagement with young people both as course participants and as audience members. Assist in the design and delivery of a suite of informal music qualifications in conjunction with the Open College Network’s framework. Develop and grow the family friendly activities of the Oh Yeah Music Centre. Assist in the development of resources for the informal education of young people. Develop relationships with other youth providers and schools for the purpose of recruitment and programme delivery. Other duties as identified by the Youth Engagement Manager, CEO and board of Oh Yeah. Ability to provide proof of experience of working with young people in an informal setting, either paid or voluntary. Ability to demonstrate administration experience and experience in use of various IT packages. Have an interest in live and local music and in the wider music and events industry. Have an understanding of data collection and demonstrate knowledge of how to demonstrate impact. Experience of the design and delivery of Open College Network qualifications. Experience of fundraising in a community context. Ability to demonstrate an understanding of budgets and funding applications. May be required to travel throughout Northern Ireland in order to attend meetings or events. May be required outside Northern Ireland to attend training or conferences. Will be occasionally required to work outside usual working hours for which time off in lieu will be given. All documents to reach us by Friday 15th February at 4pm. Volume Control present cheque to Every Day Harmony! 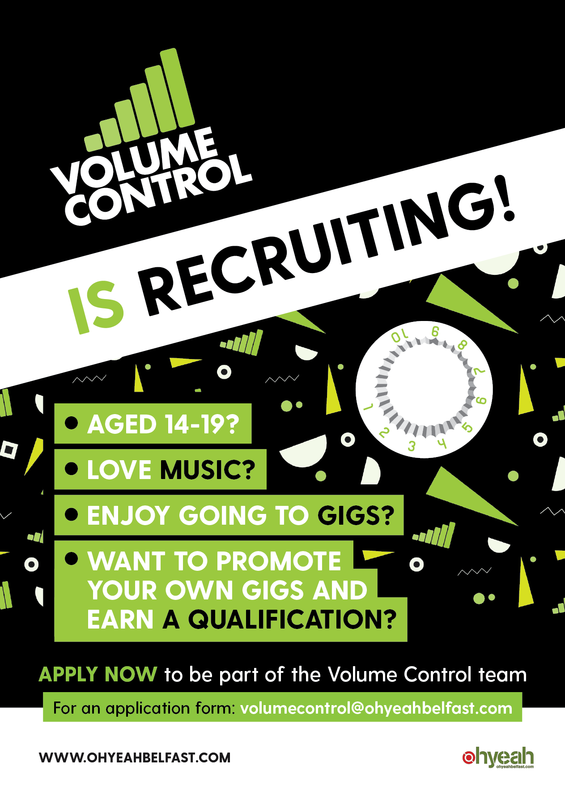 Volume Control are the team of young promoters (age 14+) running their own all ages gigs in Belfast. Their annual ‘Clash of the New Breeds’ competition on Friday 9 November at Oh Yeah Music Centre provides a fun intro to live music in a safe environment for younger attendees. And better still, all in the name of a good cause! This year our in-house superstars donated all proceeds (all £885!!) to a local charity, Every Day Harmony. Every Day Harmony is passionate about, and committed to supporting, people who find communication and interaction difficult. This may be for a defined period in someone’s life or as the result of a lifelong condition. We believe that because music is a fundamental part of being human, it crosses all barriers. Year after year and person after person we see the evidence of that. Well done Volume Control!!! You are our heroes! 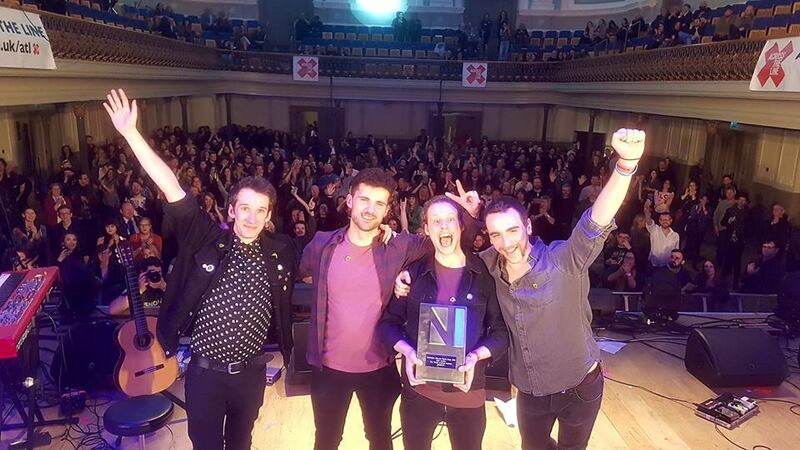 On 7th December, Snow Patrol held a press conference at Oh Yeah to announce their return to Ward Park in Bangor, Northern Ireland on 25th May 2019. Ward Park 3! We are delighted to see they will be joined by an all Northern Irish bill of Foy Vance, ASH, SOAK, Jealous Of The Birds, Brand New Friend, JC Stewart, The Wood Burning Savages, Kitt Philippa, and ROE and a very special guest as yet to be confirmed. General tickets for this show go on sale Friday, 14th December at 9am local time HERE. 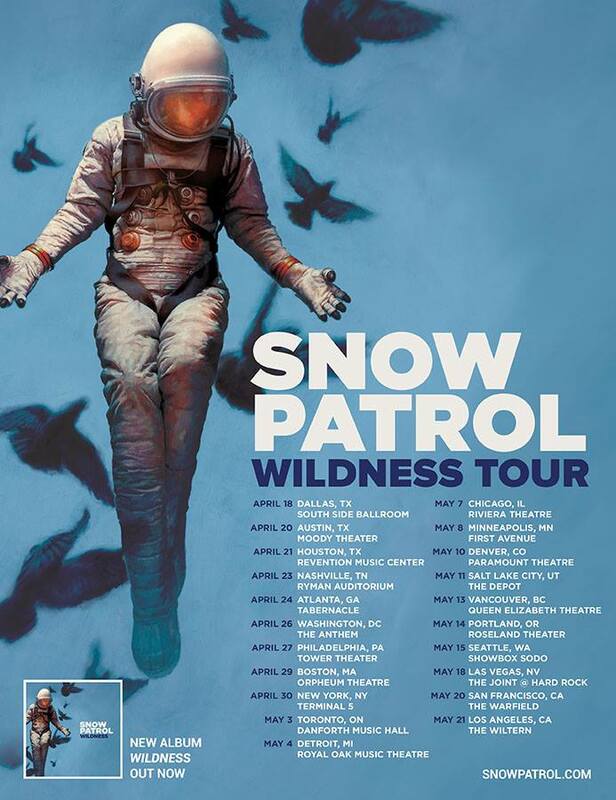 Information and tickets to all Snow Patrol shows can be found HERE. ‘Human’ is a powerful plea to be kind and to look after each other – delivered with poise and purpose through a delicate and uplifting electronic lens. 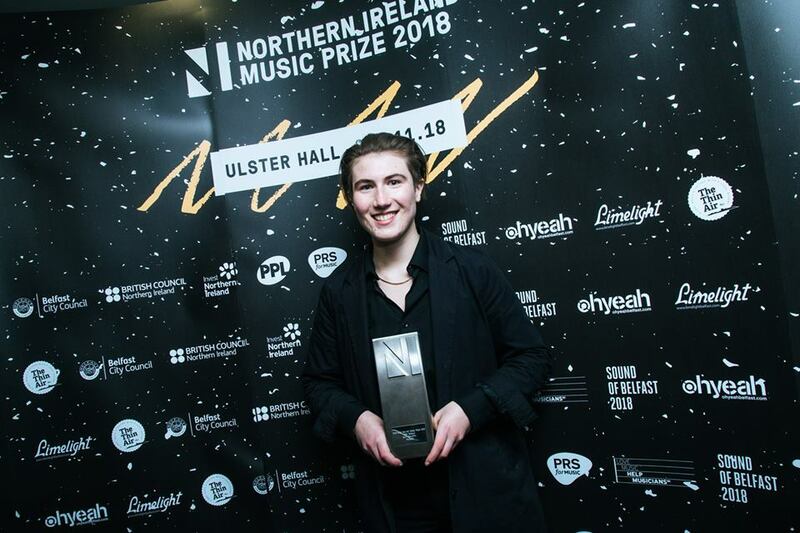 ‘Human’ was released earlier this year and has been championed by Mary Anne Hobbs, Tom Robinson, Phil Taggart, Today FM, RTE 2FM, Nialler 9, Hotpress, The Line of Best Fit…. 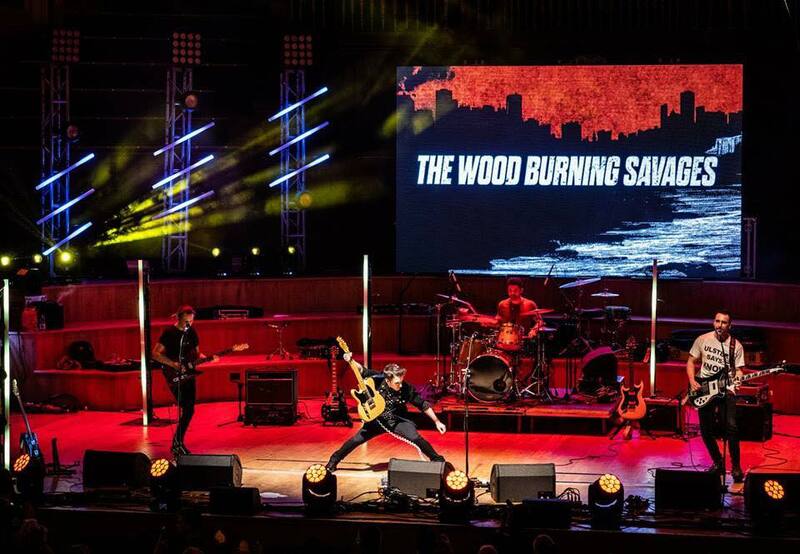 Derry band The Wood Burning Savages picked up the NI Music Prize 2018 for their debut album ‘Stability’ – a snarling, articulate equally in thrall to the catchy buzz-punk of Husker Du or the headbutt riffs of Queens of the Stone Age.